The results from this year’s Great American Beer Festival are in, and brewers in the Charlotte area and North Carolina as a whole really cleaned up. 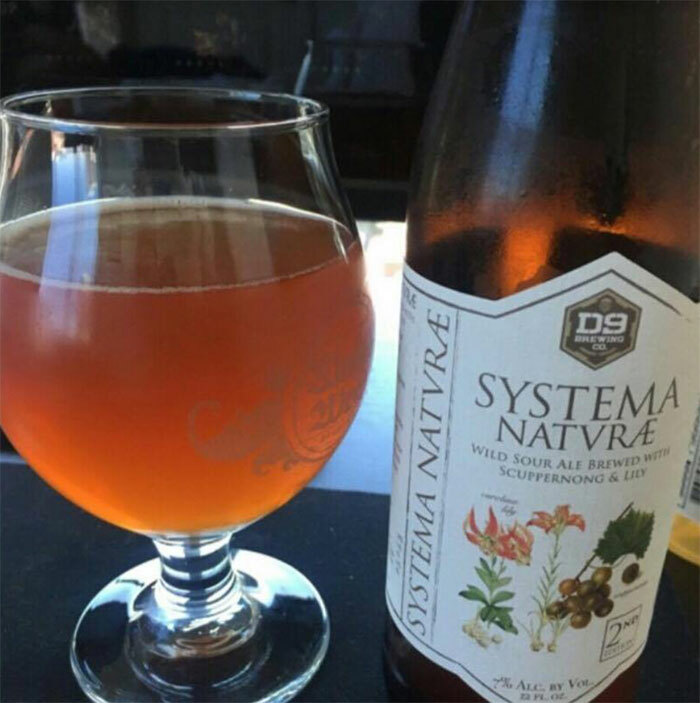 Both D9 Brewing Company and NoDa Brewing Company helped put Charlotte’s brewing scene in the national spotlight, each winning a gold medal for their respective entries: Systema Natvræ and NoDaJito. This is the first taste of GABF gold for Queen City brewers. NoDa and Olde Mecklenburg Brewery brought home a silver apiece in 2012, and Sycamore and Triple C each landed a bronze in 2015. 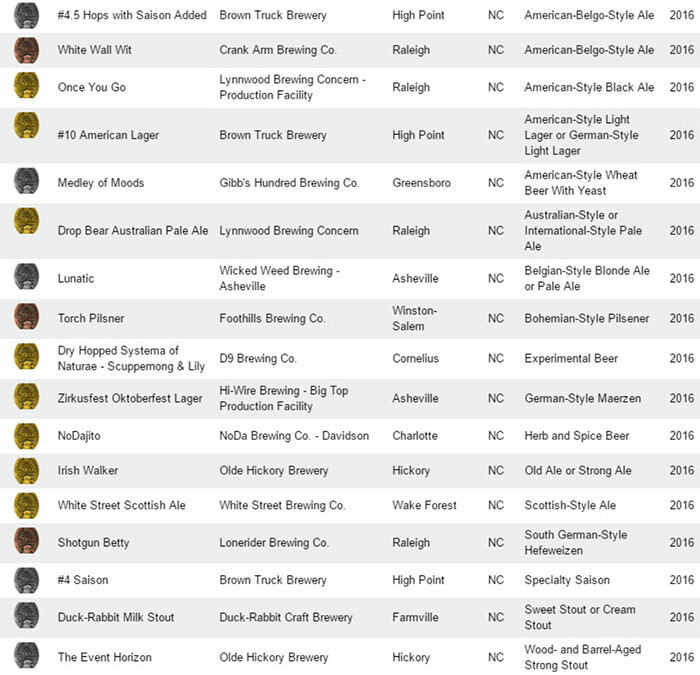 North Carolina’s breweries set a similarly high bar, hauling home 17 medals total: 8 gold, 6 silver, and 3 bronze. This year marks the state’s best performance in GABF judging; the previous high-water mark was 8 medals in 2015. D9’s Scuppernong & Lily, the second installment in their Systema Natvræ series, bested 87 other entrants in the Experimental Beer category. Fermented with wild-harvested yeast and lactobacillus, expect “sweet brightness of the North Carolina grape” interwoven with “the light anise flavor of lily,” per D9. It’s currently available on draft in their taproom, and in 4-packs of 12-oz bottles there and elsewhere around town. NoDa’s NoDaJito, a mojito-inspired Belgian Wit brewed with mint leaves and lime zest, topped 114 others in the Herb and Spice Beer category. This seasonal beer releases just ahead of summer’s start, and debuted in cans this year. Their taproom has a few kegs left and about 20 cases of 4-pack pint cans. Look for it again next June or so. This is not NoDa’s first time bringing home hardware from the Denver-based competition; their Coco Loco porter won Silver in 2012. So what do these medal wins really mean to the Charlotte area brewing scene? My cop-out answer is, simultaneously everything and nothing. There’s always been excellent beer being made by the Queen City brewers, and I don’t need medals to validate that. In previous years where Charlotte’s brewers didn’t competitively medal, my take-away wasn’t thinking of our local options as a bunch of losers. That said, it certainly feels good to see the rest of the American craft beer scene wisening up to what’s going on in Charlotte, and having the hardware to prove it. 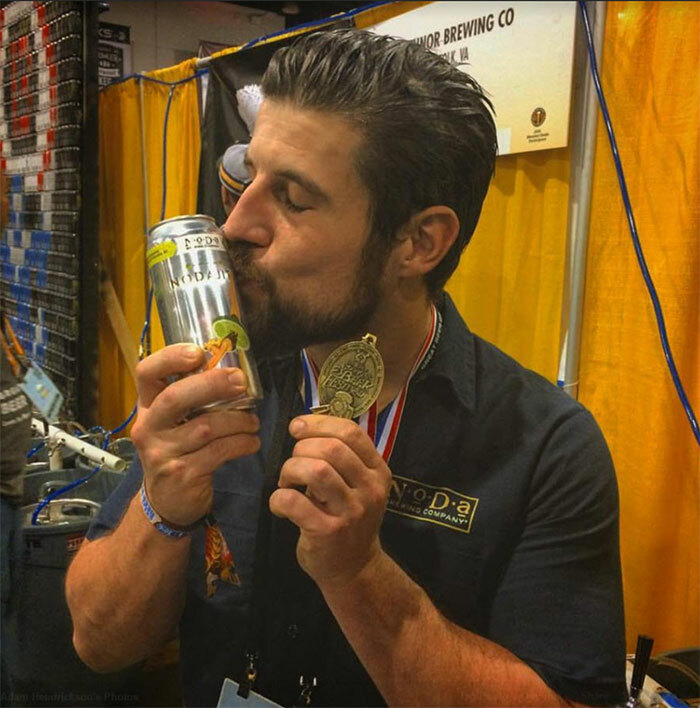 As I’m wont to do, I picked the brain of Ryan Self, the director of sales for the 2012 silver-medal-winning Olde Mecklenburg Brewery, about what these medals really mean for the brewers that win and how they affect the larger local brewing scene. Complete results for this year’s Great American Beer Festival can be found here.